On the night of January 31, 1944, a U.S. Navy PB4Y-1 (Bu. No. 32181) left Quonset Point Naval Air Station for an anti-submarine patrol – searchlight training flight over the Atlantic Ocean. The airplane was equipped with a powerful searchlight mounted under one of the wings to be used in spotting surface vessels at night. Therefore, the plane would be flying fairly low over the water during its searches. The weather that night was snowy with strong gusty winds. At some point the aircraft crashed into the ocean and disappeared taking all ten crewmen aboard with it. A search was organized, however nothing was found, and Naval investigators could only guess as to what might have happened. 1) The pilot experienced vertigo and crashed. 2) Instrument failure, specifically the radio altimeter or artificial horizon. About two months later, on April 6, 1944, the Nathaniel B. Palmer, a fishing boat dragging its nets in the vicinity of Block Island snared an unexploded bomb which blew up when it was brought to the surface killing all but one man aboard. More bombs were later recovered by other boats dragging their nets in the same area, and warnings were posted to stay clear. If the bombs had come from the missing aircraft, it didn’t necessarily indicate that the plane rested in that area, for they could have been jettisoned due to an emergency. Nearly 50 years later, in April of 1992, another fishing boat, the Nancy & Gary, brought up a three-blade aluminum aircraft propeller in its nets while dragging about thirteen miles off Block island. The condition of the prop indicated it had been in the water for a long time. The artifact made its way into the possession of Lawrence Webster, a well known aviation historian and archeologist affiliated with Rhode Island’s Quonset Air Museum. Through his research, Webster determined the propeller had come from a PB4Y-1, and records indicated that only one such aircraft had been lost in the area where the propeller had been found. Webster contacted two New England companies that had sonar equipment capable of scanning the ocean floor hoping to find the wreck site of the long lost aircraft. The search was successful, and the mystery of the missing navy plane was solved. Unfortunately, no human remains could be recovered. The aircraft lies in 150 feet of water at approximately 41 degrees 9′ N and 71 degrees, 16.55 W.
(Pilot) Lieut. Harold Leroy Neff, 29, of Centralia, Missouri. Lieut. Neff was killed just one day after his birthday. To see a monument to his memory and learn more about him, see www.findagrave.com, Memorial #47219916. Lieut. Hubert C. McClellan, 25, of Plymouth, Michigan. To see a monument to his memory, see www.findagrave.com, memorial # 129372432. Ens. Niles D. Kinney, of Woodlake, Minnisota. AMM1C Arthur Joel Lien, 24, of Hixton, Wisconsin. To see a photograph of Arthur Lien and a memorial to him, see www.findagrave.com, memorial # 60612769. AMM1C Nathaniel Hornstein, of Bridgeport, Connecticut. ARM3C Wilton Hardin, of Elizabethtown, North Carolina. ARM3C Willard Joseph Hinger, 20, of Newark, Ohio. To see a photograph of Willard Hinger, as well as a monument to his memory, and to read a newspaper article about him, see www.findagrave.com, Memorial #130964218. AMM2C Peter Yezersky, Hermine, Pennsylvania. ARM3C William J. Kline, of Philadelphia, Pennsylvania. AOM3C John H. Linnehan, Jr., of Albany, New York. 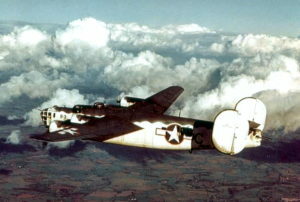 The crew had been assigned to bomber group VB-114. Book, “Come Aboard The Draggers – Sea Sketches”, by Cap’n Ellery Thompson, 1958, page 60. Narragansett Times, (RI),”Scientists To View Plane Crash Site”, May 29, 1992, page 2. Other information supplied by Lawrence Webster, Aviation Historian and Archeologist – Quonset Air Museum. Unknown newspaper, “Hinger Now Listed Dead”, February 16, 1945.